Repainting or re-enamelling are just two ways that you can update your scratched, cracked or mildewed bathtub. But resurfacing your bath using these methods comes with its fair share of hassles. Both processes use heavy chemicals that require very careful handling and due attention in the home. Here are a few points you’ll need to consider if you get your bath repainted or re-enamelled. Be aware of chemical runoff into plumbing outlets that could result in water contamination. Vacate the house for 24 hours if you or your family are asthmatic or sensitive to strong smells. Cover walls and bathroom furnishings with drop sheets to protect them from the chemical spray. Be aware that masking tape may need to be used on walls to achieve a clean finish around the tub (if it is inbuilt), and this can result in paint peeling upon its removal. When your bathtub is repainted, you need to wait a minimum of 24 hours for the paint to set properly, before you use it. Re-enamelling services can take up to three days to fully set. This means your bath will be out of order for an extended period and you will need to plan ahead – a real hassle if you have small children! A repainted or re-enamelled bathtub cannot be cleaned using bleach, chlorine or abrasives. So no vigorous scrubbing with a scrubbing brush to get off mildew buildup! It also means that you’ll end up cleaning your bathtub more regularly because you need to do it with a soft sponge and neutral dish detergent. This can be very frustrating if you’re pressed for time, and a mild detergent won’t lift all of the grime off the bottom. The list of Don’ts for your newly painted or enamelled bathtub is quite long, while the Do’s are comparatively short. If your bath remains wet for an extended period, from wet towels sitting in it, soap scum that doesn’t dry or a leaking tap that’s constantly dripping, this can permanently damage the new surface. 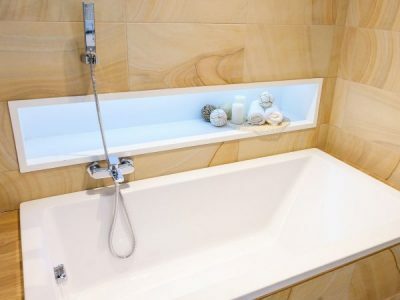 Leaking taps are a particular concern as they often can’t be helped and need to be dealt with ASAP, lest you then have to pay for both a plumber to fix the leak and another bathroom technician to resurface your bath again. There are many factors that can make repainting and re-enamelling warranties void. These include continual wetness damaging the surface through the actions described above. The warranties also often do not cover staining as a result of hair dye, bleach or other chemicals, and chips, nicks or scratches caused by abrasive cleaning products or dropped items. 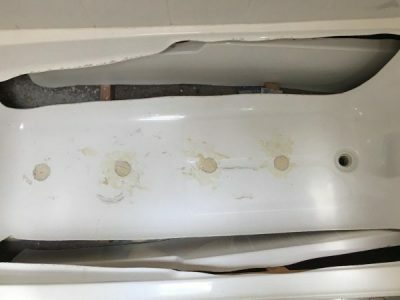 If the substructure of the bathtub has shifted, resulting in cracking of the tub surface or splits in the grouting, this isn’t covered under warranty either. If you don’t want to put up with all of these combined hassles, the good news is that there’s a quick and easy way to resurface your bath that doesn’t include painting or enamelling. 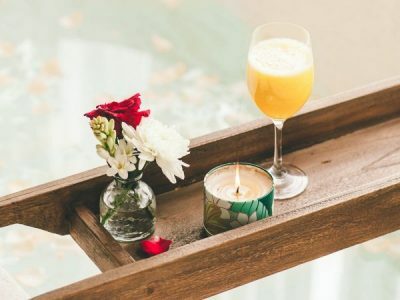 It’s called bathtub relining and involves placing a brand new, acrylic liner over the top of your old bathtub so that it looks fresher and cleaner in no time! The liner is specifically moulded to fit your tub and uses the original structure as the base. The main positives? It only takes three hours to install, and you can use it within six. No need to relocate to bathe the kids for several nights! There are no harmful chemicals used in the process, so you don’t need to vacate your home or worry about water contamination. You can clean it like you would your normal bathtub, and use whatever bath soaps and gels you wish in it. 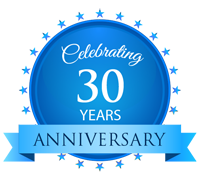 Bathtub relining services through Inner Bath come with a ten-year workmanship and product warranty. Convinced that bathtub relining is the better way to renew your cracked or worn bath? 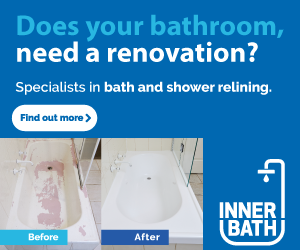 Contact Inner Bath today for a free quote!